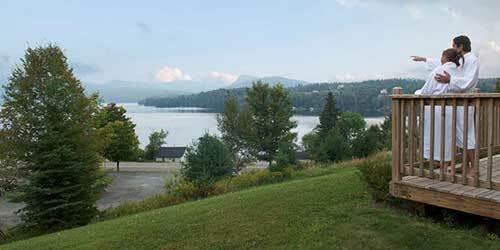 Inns of Northern Vermont, which includes the towns of Burlington and Stowe, are tucked into every part of this beautiful state, from the ski mountains to the farming valleys to the historic and culturally hip cities and towns. 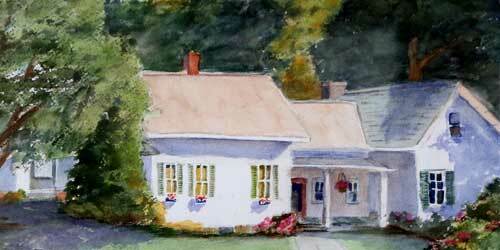 Northern VT Inns are intimate, cozy, and often located in centuries-old, historic dwellings close to nearby craft shows, music and art festivals, golf, fishing and theater. Some offer fine dining. Amenities can include Jacuzzis and hot tubs, swimming pools and saunas, and balconies or decks. Come relax by the lake at the WilloughVale Inn and Cottage’s in Vermont’s spectacular Northeast Kingdom. The historic inn’s 11 comfortable rooms offer a variety of features, from handcrafted four-poster beds and double Jacuzzis to wood-burning or gas fireplaces and private porches. One room even comes with its own gazebo. With breathtaking views of Willoughby Lake and the mountains, you may never want to leave your room. But so many activities await: canoeing on the lake, roasting marshmallows in the fire pit, going horseback riding or mountain-biking. In the winter, you can take your snowshoes or skis out onto the lake or arrange for a dog-sled or sleigh ride. Nearby, there’s downhill skiing, golfing and so many places to visit and explore, from wineries and farms to museums and sugarhouses. 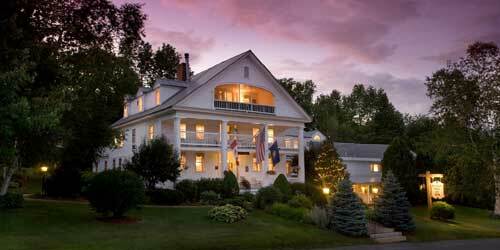 Escape to Vermont’s Northeast Kingdom and this romantic 19-room bed and breakfast. Set on acres of gardens and wooded walking trails, the Inn caters to adult getaways, honeymoons, celebrations, and fun-filled vacations. Enjoy luxury, superior and classic rooms and suites with private baths, sitting areas, double whirlpool tubs, working fireplaces and glorious views of the White Mountains. Disconnect and indulge yourself with in room full body massages, bountiful candlelit breakfasts and dining in one of Vermont’s best restaurants. 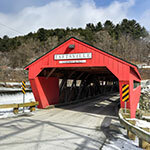 You’re near the finest year-round recreational activities, shopping, antiquing, covered bridge tours. Add-on vacation packages and lodging specials available. Rated #30 of the Top 100 Hotels Worldwide, #6 in the USA, and #2 in the Northeast by Travel & Leisure, July 2017. Hobble Inn, with the delightful motto, “Put Your Feet Up,” is a bed-and-breakfast and former family home of innkeeper Mary Skelton, who has restored this 150-year-old house with great care. Guests to beautiful northern Vermont may rent the entire house of four bedrooms and two bathrooms (one, on the ground floor, is handicap accessible), or simple use one of the bedrooms. 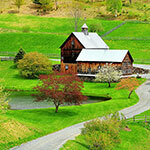 Your day starts with a hearty breakfast, likely to include Vermont’s beloved maple products. Kick back in the sun room or private, grassy back yard, or make your feet earn their end-of day rest at Stowe’s many attractions. Winter brings skiing and snowboarding of course. In warm seasons, come enjoy hiking on the towns popular Recreation Path, or tons of other outdoor activities: biking, fishing, tennis, zip lines. Since the 19th century, the Green Mountain Inn has been charming visitors from around the world with its jaw-dropping mountain views and its many amenities. Today, that includes a year-round outdoor pool, spa, health club, kid-friendly game room, fire pits and afternoon tea and cookies. 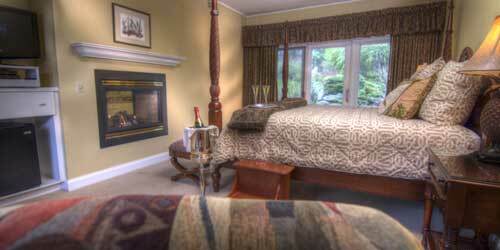 In your room, suite, apartment or townhouse, that might include a fireplace, Jacuzzi or a four-poster bed. All accommodations feature luxurious bedding you will sink into after enjoying all Stowe has to offer, from skiing, sleigh rides and dogsledding in the winter to golf, tennis, hiking and swimming in the warmer months. Dine at the inn’s two restaurants or explore many options (and shops) in the very appealing village right outside the inn’s door. 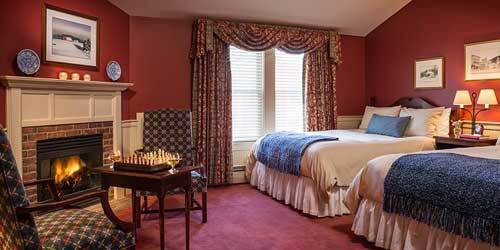 At Stone Hill Inn in Stowe, Vermont, you'll enter a magical world of romantic indulgence. Forget the rest of the world on our secluded nine and a half acres of forests and gardens. Unwind with massage for two in the privacy of your room. Relax in a two-person Jacuzzi beside a crackling fire. Awake to a delicious breakfast in a sunlit room with 40 windows and cathedral ceilings. Recreation opportunities abound in our area. In summer months have an exciting adventure in a hot-air balloon. In winter got dashing through the snow in a horse-drawn sleigh. You'll also find hiking, kayaking, white water rafting, ziplining, fall foliage tours, and snowboarding and skiing on Mount Mansfield.